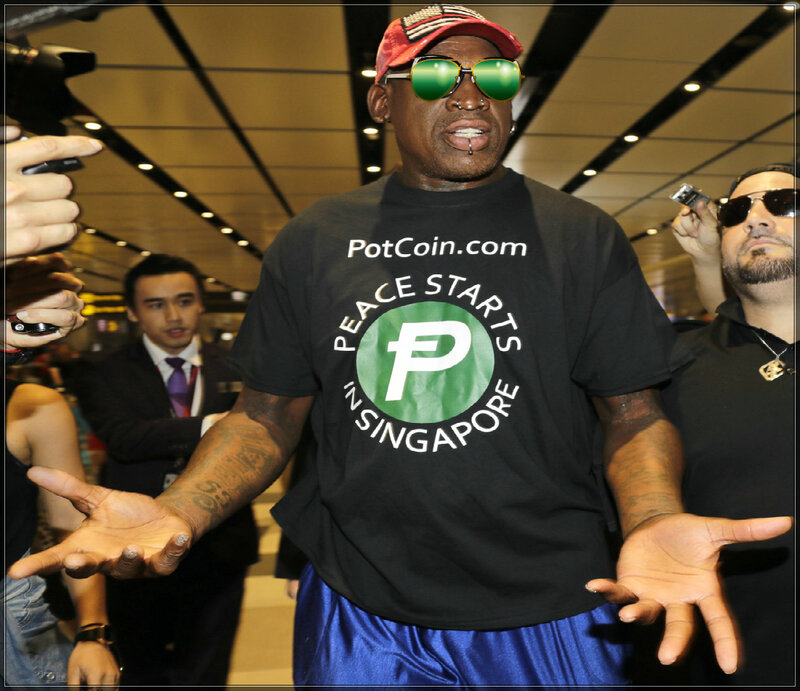 The greatest rebounding forward in NBA history has just become a world leader of peace, who’s sponsored by Potcoin. Singapore – Former basketball great Dennis Rodman was notified before leaving Singapore that he will be receiving the Nobel Peace Prize. 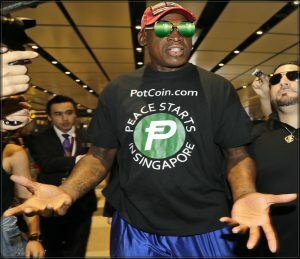 While wearing his MAGA cap and Potcoin shirt, Nobel Peace Prize winner Dennis Rodman cried at the idea of winning the Nobel Peace Prize.